Whats Growing on Around here?……Farm House Fresh is one of our favorite products here at Signature Beauty Bar! We love using all of the products on our clients and ourselves as well! There is nothing that makes you feel better than when see a client as she experiences the product for the first time. Did you know you help the planet by using FHF as they make sure to have zero waste? 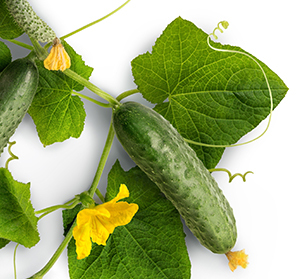 All of their cucumber harvests are grown and extracted wth ZERO WASTE. All pulp and rinds not used in the products are brought back to the farm here in Texas and fed to the chickens! We are loving the new bath soaps! Just ask us where the blueberries, honey and oatmeal that are in the product come from and we can tell you. When you walk into Signature Beaty Bar we made sure to put it at the front door so our clients will not have to go far to scoop up their favorite items. Ask any of the Signature Gals what their favorite product is and why and then mention this blog and you will get a free gift when you make your FHF purchase. Now That’s just Fun!